I know I keep being shocked that Chicago is getting closer and closer, but I seriously cannot believe that October is just about a month away. I've been trying my best to stick to my training plan despite lots of travelling and have been feeling pretty good with all of the running I've been doing, despite pretty much sweating buckets every time I workout. Honestly, that's really nothing new. 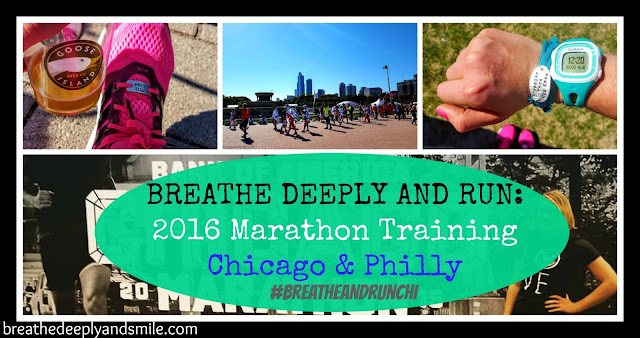 Here's a recap of weeks 7-9 of my Chicago Marathon training. Total miles: 45.55<-- made it into the 40 mile club for the week! If you don’t read anything else, I’ll just let you know that the lululemon SeaWheeze Half Marathon was AMAZING. It is WELL-worth the money and the trip if you can make it a little racecation/vacation in my opinion. If you are interested in more of the details, let’s continue. Also I’ll just say that I have a lot to say and thought about splitting it up into expo and race but figured I’d put off the post if I did that so here’s my attempt to not be too wordy yet give you all the details. Registration for this race was $128 Canadian which is like $95 ish dollars US. That’ pretty much the cost of a lot of the bigger half marathons these days AND instead of a race shirt I may or may not ever wear I got a pair of awesome lululemon shorts in a special edition Seawheeze print (I chose the speed shorts because I love them) plus extra goodies before even running the race. ) which are like over $50 in store anyways. I received my entry through a giveaway last minute so I picked up my shorts at the expo but other people had theirs mailed to them ahead of time which is sweet. I took an Amtrak train from Seattle to Vancouver (first time to Vancouver or BC!) for around $34 with an early bird fare which had pretty views and was nice because I could relax and nap too. 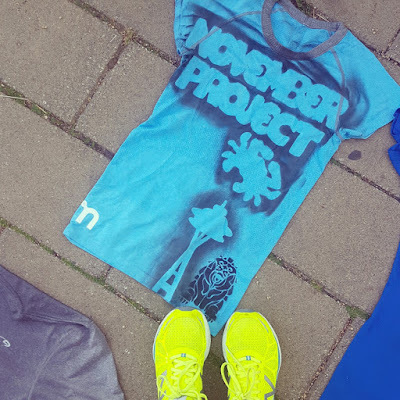 Friday morning I went to the November Project-Vancouver Pop-Up workout which was super fun-so many tribes were represented! The event has a Showcase Store of lululemon items in a special limited-edition print. It opened to runners from 7-11 and then to the public and apparently people camp out. The line was ALL the way around the building at 6:29 when the NP workout started, and we all high-fived everyone in line. I even finally met this lady Carlee at the NP-workout! After the workout I grabbed my gear at check-in at the race expo area at the Vancouver Convention Center which was super-fast. 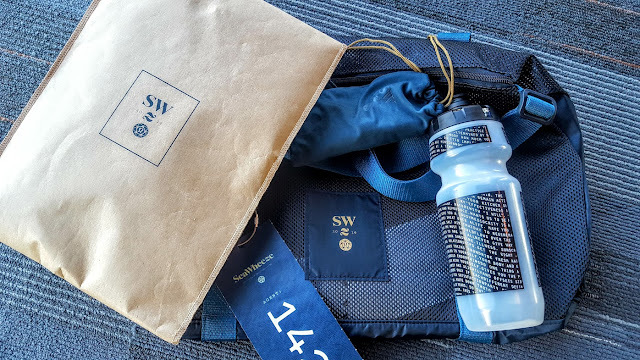 You received a wristband, a really cute, nice mesh bag for gear check as well as sunglasses, a tube of Nuun, a water bottle and your race number which was two timing chips for your shoes and a number for your bag-no traditional bibs for this race! They also had lots of little tents outside with the vendors and hair-braiding stations, places to get temporary tattoos, and more-it reminded me a lot of the Nike race expos which don't have any non-sponsor, more traditional race vendors. #WeirdWorkout Campaign with Prana and Organic Valley & Grouse Grind-ing. This post is sponsored by prAna and Organic Valley through my partnership with FitApproach. As always, all thoughts and opinions are my own. I wanted to let you all know about this awesome giveaway hosted by prAna and Organic Valley that is happening because who doesn’t love winning things. Especially when the giveaway is offering 10 winners the chance to earn $300 in credit to use at prAna.com, a 2-month supply of Organic Valley, and lots of free swag. To keep it short and sweet, you can go right ahead now and find out more details and enter here. If you aren’t familiar with both brands, they are great. I haven’t had the opportunity to own any prAna gear yet although I’ve tried some on at my local yoga studio. 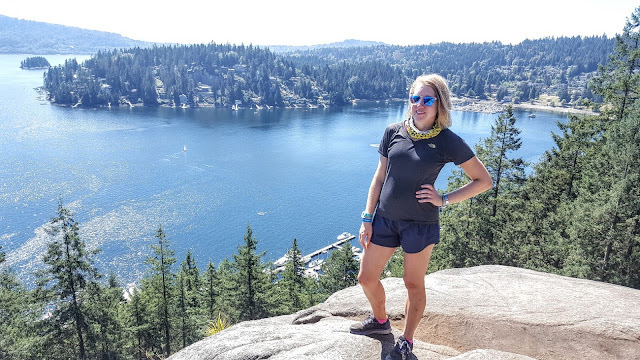 PrAna’s mission is to inspire healthy, active, free-spirited living (which is right up my alley) and create versatile, stylish, and sustainable clothing and accessories to wear during every adventure. Organic Valley’s Organic Fuel shakes are made with only 9 ingredients with protein coming from real organic milk made by pasture-raised cows on Organic Valley family farms. Their product is lactose-free, gluten-free, and free from GMO’s and hormones too which I love. You can also SAVE 15% on prAna.com purchase right away with my code PFS16BDAS, valid through October 31, 2016. I haven't posted in a bit because I was travelling out on the west coast. 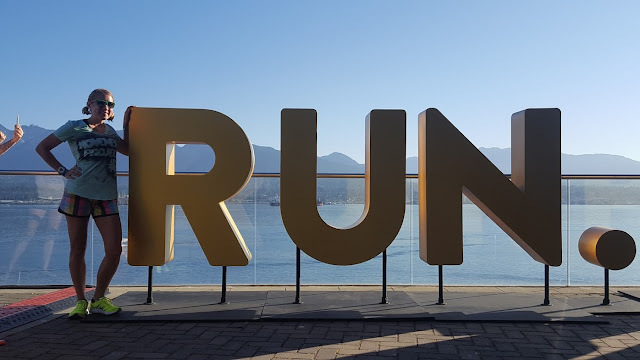 I had an amazing time at Seawheeze half marathon (more on that later) and fell in love with Vancouver, British Columbia. Who wants to move to the pacific northwest with me, haha? Taking the whole trip solo was a really great experience. I've done plenty of longer weekend solo trips including 2 last month, but this was the first time in a while that I was travelling solo for a full week. Of course everywhere I went people were asking who I was travelling with and were a little surprised when I said I was out here alone. I'm assuming the feelings are the same ones I was having. People are scared of being lonely, feeling unsafe, or looking like they don't have anybody-similar to taking yourself out to dinner alone. I have some social anxiety which makes it a little understandable for me but still, people are constantly on their phones and rarely just sitting anytime they are on public transit or waiting for someone. The beginning of the trip during my couple days in Seattle was still a little stressful for me. I had some things going on in my personal life still messing with my head and was feeling a little insecure about being out on my own. Obviously I had friends.acquaintances, and November Project people I met up with in Seattle and Vancouver so it wasn't like I was in a completely foreign place with no one. Still, there were a few days where the world was my oyster, and I had hours and hours to fill. I was also having a stressful feeling those first few days like "what am I doing here?" & "why am I spending all this money when I'm a broke graduate student?". There was also the big question of "What in the world do I want to do, today?" Eventually post-race in Vancouver, I spent a lot of time outdoors and with the amazing views that Vancouver has to offer and reached a really nice place of zen that I had not found in a while. It was a very centering experience and has helped solidify for me some things that I was feeling anxious about. I am an awesome person and settling for anything in life is not worth it. I may be paying off this trip for months, but it was freaking worth it. My saying that I always tell people is that I'll never have time and money all at once, so if I want to travel-I'm going to make it work. 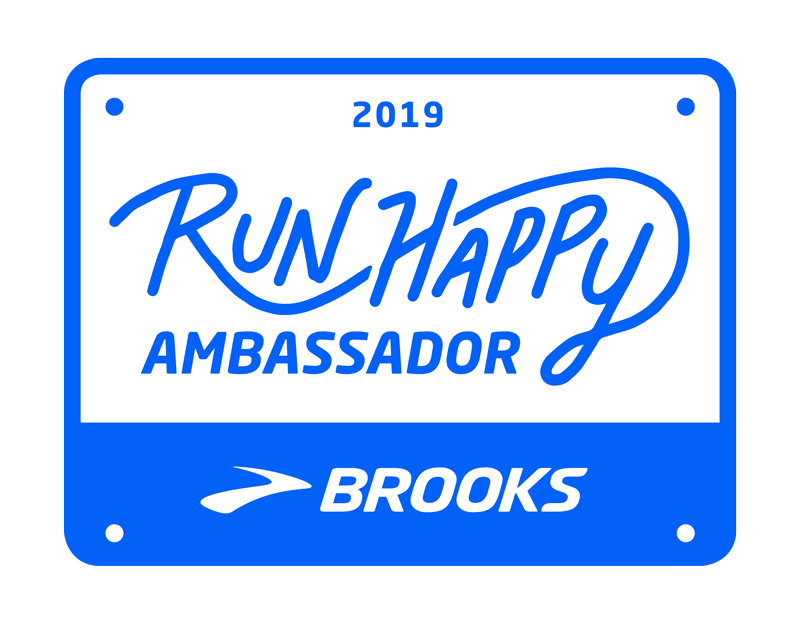 That has been my feeling really since the amazing experience I had flying across the country to go run Hood to Coast in Oregon 2 years ago this month. Flying solo and being able to stay in hostels or Airbnbs nowadays also helps keep things cheaper! Also travelling solo became really relaxing. My day didn't have to be jam-packed scheduled with things. I didn't have to worry about someone else's schedule or figuring out what they wanted to do. If I wanted to grab a coffee and pastry and leisurely window-shop for a couple hours, cool. If I wanted to check out this art museum that I really wanted to go to it was great. I didn't worry about if others were bored or how long to spend at each piece-I took my time. Another perk was that pretty much any restaurant or place that had a bar meant not waiting for a table! I got okay with sitting at a bar and grabbing a beer to watch the Olympics at night. 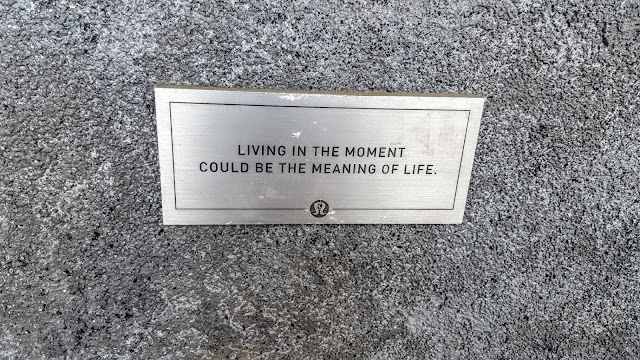 I love planning, but I spent a lot of time living in the moment and letting the day take me where it would. Jumping into plans I was just invited to turned out to be the best times of the trip. 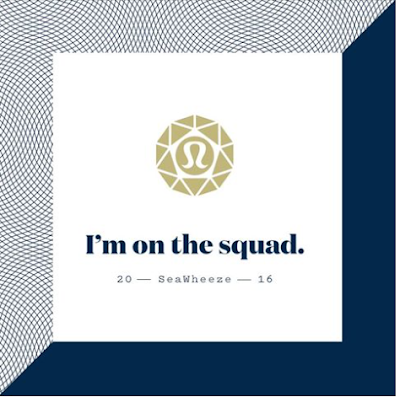 As far as for Seawheeze I was in a Facebook group, and there were many "orphans" or people who were coming out solo for the race that connected and posted about meeting up for dinner or activities. 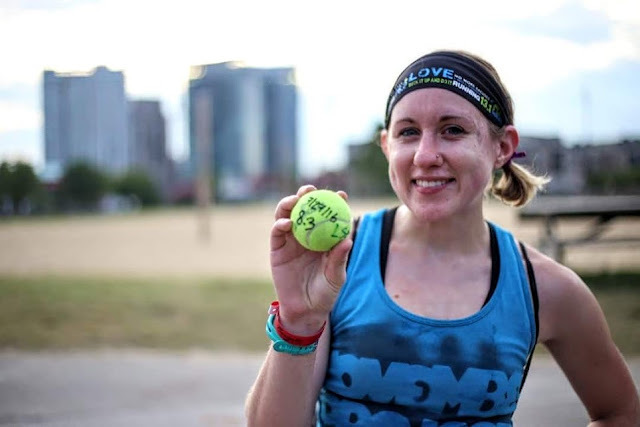 I ended up meeting a fellow Baltimore runner lady for dinner after connecting on the Facebook group! While travelling with family and friends is great, I really recommend that everyone travels solo even for just a weekend. I would also like to thank Google Maps and Starbucks free wifi for making navigating an unfamiliar place easy for a lady with a terrible sense of direction like myself. I saw an amazing part of the country and met some awesome people. Now the hard part is being back in the real world with school, work, and stress and trying to keep this little piece of zen inside me. This quote at the top of Grouse Grind has become my mantra for the trip and beyond! This post was linked up with my fave Friday Linkup ladies Courtney, Mar, and Cynthia as well as Nicole and Amanda. Have you ever traveled solo? Have you ever taken a solo race-cation? Disclosure: I was not compensated for this post. 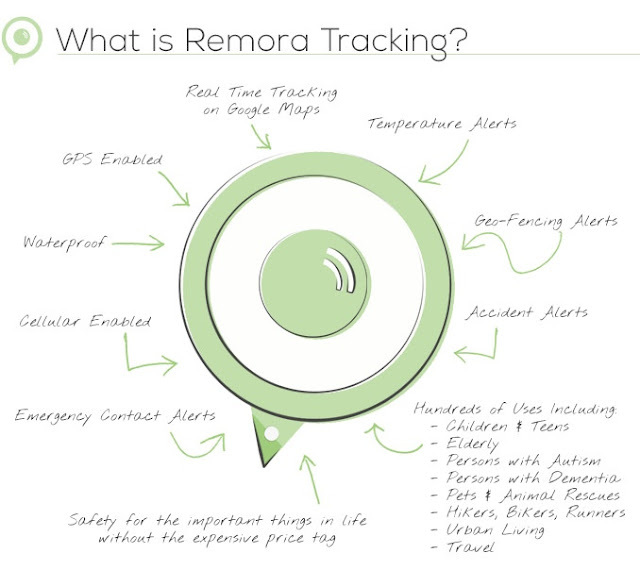 I am friends with one of the entrepeneurs behind Remora Tracking and wanted to share information about their product. As always, all thoughts and opinions are my own. As a female runner living in a city, safety is always on my mind. 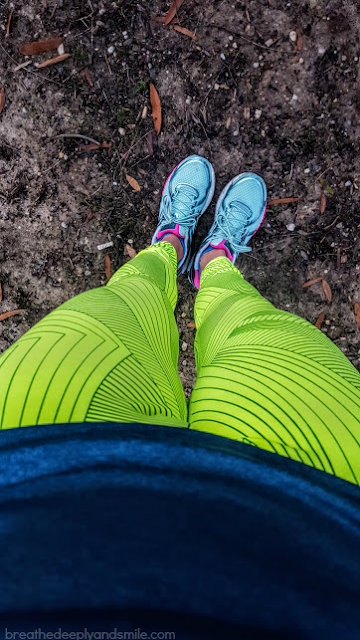 There have been two recent unfortunate incidents and attacks on female runners in NY and MA that were in the news recently that always serve as a reminder to me to stay vigilant. 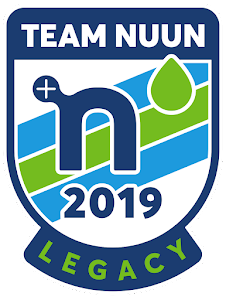 I’m sharing a new awesome product that promotes safety and is a project that my fellow 2014 Hood to Coast Nuun teammate Sean as well as 4 other Phoenix-based entrepreneurs just launched on Kickstarter called Remora Tracking. I spend lots of time running around the city by myself. Remora Tracking is a car-key sized device that clips onto pretty much anything and can locate anything in real time WITHOUT the use of a cellphone. That part is key for me especially because sometimes I don’t run or race with my cell on me. It’s also waterproof so it can be used for swimmers, boaters, and more. It has safety alerts that get automatically sent to stored emergency contacts in case you are wearing it and get hurt, go unconscious, leave a pre-determined geofence area, or if the temperature in your location rises or drops to a pre-determined level. Remora Tracking Founder and CEO Nicole Zeno said “I got the idea because in the 12th hour of the Ironman Arizona race, my dad asked me, ‘Where is your friend on the course?’ All I could answer was, ‘I don’t know,’ and I thought there must be a better way’. What exactly is Remora Tracking? 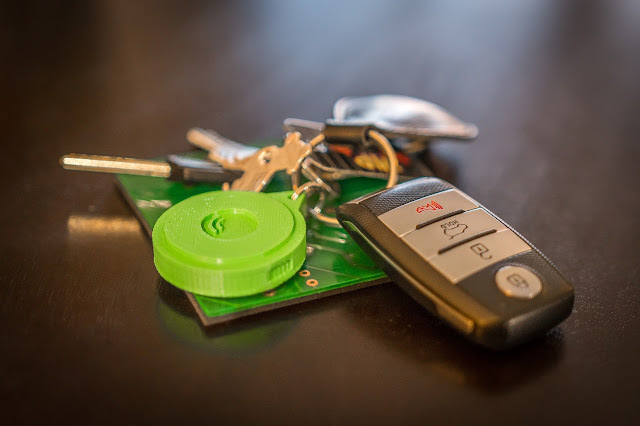 Remora Tracking is a small and lightweight device that uses cellular and GPS technologies and doesn’t have to be connected to a phone to work. After using GPS to determine the device’s location, it communicates with the built-in cellular antenna to transmit the location of the device to Remora’s database where it can then be accessed by your emergency contacts or friends. Along with your location, Remora uses an Accelerometer, Gyroscope and Thermometer to send other important metrics to the database as well. 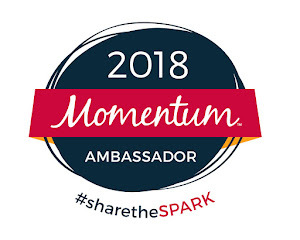 Besides athletes or runners, it can be used for pets, children, teens, valuables, and persons with special needs to help keep people or valuables safe. You could know when your pet escapes the yard by attaching it to its collar or have peace of mind knowing someone is safe. I definitely encourage you to support the Remora Tracking Kickstarter campaign and check out their page to see a demo and get more information. 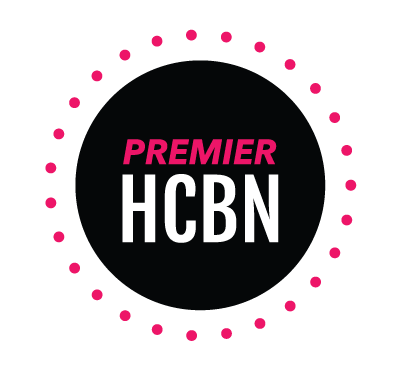 I think this is a really great product for everyone but especially as a female and a runner. Sometimes I have my phone out on runs or when travelling, and I don’t have any cell phone service so knowing that this doesn’t require my phone makes it really innovative. I just saw today that we only have 63 days until Chicago. What?!? I've just been chugging along in my training, getting in those long runs. Baltimore has been having it's usual summer weather this past month, hot and HUMID. I finally have a few weeks off from school and am soaking in every last day of it. 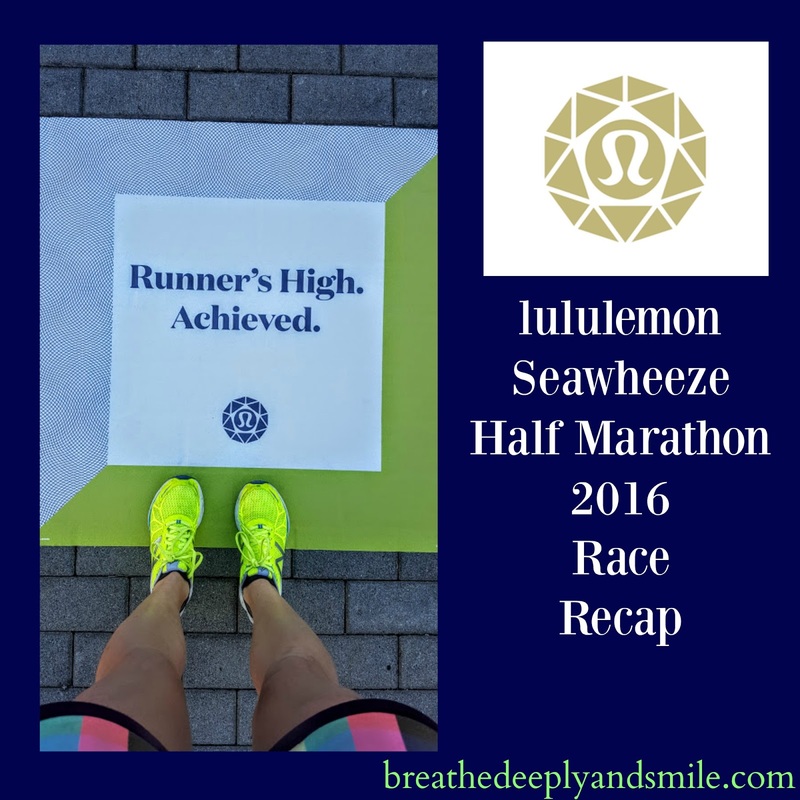 Here's a recap of weeks 5 & 6 of my Chicago Marathon training. Saturday: HOT HOT HOT long run and coaching, 16.3 miles. Had to split it up briefly to coach but happy to get it done strong. Saturday:Drenched #sportsbrasquad humid long run and 5K group coaching, 14 miles + 3.1 run/walk coaching. I meant to write a post for Thinking Out Loud Thursdays, but since it's Friday I'll make it a mash-up and talk about my favorite things of the week. So I ended up getting an entry like a month out from the race to run with Team Nuun so now I'm FREAKING RUNNING the Lululemon Seawheeze Half Marathon in Vancouver next weekend. It sells out every year and you get a limited edition printed pair of shorts with entry, plus I've heard Vancouver is amazing. The excitement and the hype cannot be contained, especially because a million people have asked me about it in the past week. If you're going and have any suggestions or tips, let me know in the comments or email me (breathedeeplyandsmileblog@gmail.com). 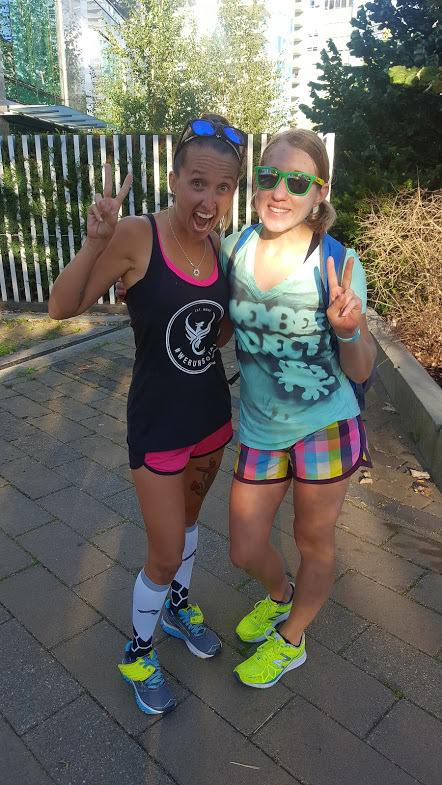 I'd love to meet up with runners too! So tonight is the opening ceremony of the 2016 Summer Olympics in Rio, and I'm pumped! I LOVE watching the Olympics and tuning into the main events like gymnastics and swimming as well as some more obscure events that I don't normally get a chance to see. I love the national pride, the athleticism, and the stiff competition in the events. OBVIOUSLY I'm hugely excited for the men's and women's marathon event as well as other track and field events. 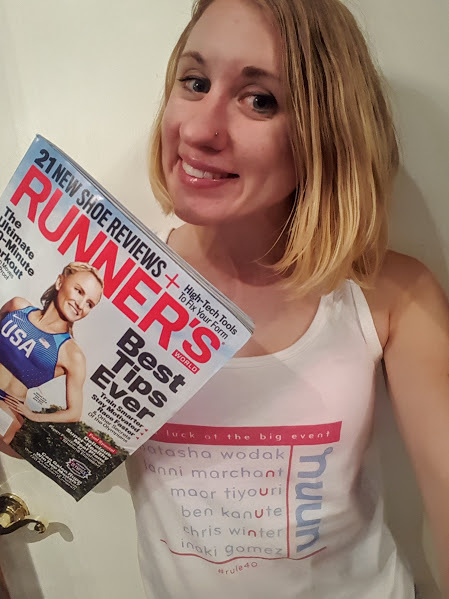 I got an awesome shirt supporting the Challenged Athlete Foundation with the names of Team Nuun and Nuun Elite Olympians as well as my copy of Runner's World magazine with my girl Shalane on the cover this week! 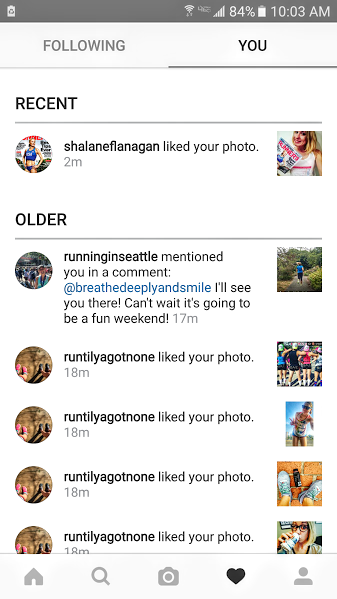 I also FREAKED out when I saw that one of my running idols Shalane liked my Instagram photo because I'm a huge fangirl like that. You can find the Olympics Track & Field schedule here- I'm super excited to see the men's and women's steeplechase and the marathon events. Obviously cheering for Shalane and Meb and everyone from Team U.S.A. This video of the U.S. Olympic swimmers doing their own version of carpool karaoke is great. Shout-out to Baltimore's own Michael Phelps!